The Third Squad is investigating an Assault that occurred in New Cassel on July 21, 2014 at 10:22 am. New Cassel, NY - July 23rd, 2014 - The Third Squad is investigating an Assault that occurred in New Cassel on July 21, 2014 at 10:22 am. According to detectives, Third Precinct Police responded to a call of a 19 year old male victim that was involved in a large fight with at least 20 unknown male black subjects in front of 701 Prospect Avenue. The subjects were armed with weapons that consisted of bats, pipes, hammers, knives, and at least one stun gun. Upon police arrival they discovered the victim was stabbed in the abdomen and left shoulder. All subjects fled on foot in an unknown direction. The victim was transported by a Nassau Police Ambulance to a local hospital and underwent surgery. He is listed in stable condition. A hammer and a pipe were recovered from the scene. Detectives request that anyone with information regarding this crime to contact the Nassau County Crime Stoppers at 1-800-244-TIPS. All callers will remain anonymous. 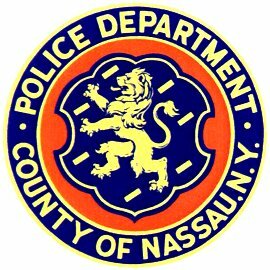 Subject: LongIsland.com - Your Name sent you Article details of "NCPD Crime Alert: Suspects Wanted for Assaulting Teen in New Cassel"